Today we have author Dee DeTarsio joining us for a Q&A! She has a new book out, Ros, and we'd like you all to check it out! You can click her name and head over to check her website out. It includes all her books there for you to check out. Goddess Marian Keyes (top) ...and her doppelanger, my sister, Beezer (bottom). Her most excellent Ms. Keyes is from Ireland...I love the color green. From her first book, Watermelon, (my seventh favorite fruit) to Sushi For Beginners (I’m only up to California rolls myself) to Anybody Out There...I have loved, read, and reread every word. I’m even practicing what I will say when I meet her. I have been working on “Top of the morning,” as an icebreaker. I am such a gobshite. I wrote my first novel, The Scent of Jade (finalist in the San Diego Book Awards Association) in about 8 months. The hardest part is that little, teeny-tiny one paragraph synopsis that becomes the road map for the story! I try to write novels as a TV producer: Writing for television is writing for tell a vision. Producers are the authors of suspense: amping up the conflict and drama. Storytelling a vision invites the audience, through whatever medium, to stay tuned for the good stuff...coming up. In addition to The Scent of Jade, I’ve written a novella, ‘Til Somebody Loves You, Romantic Comedy Quick-Pick, and The Kitchen Shrink (if you’re life’s a mess, your house could probably use a makeover, too!). Reread for what you missed the first time around. Remember the stories and styles that spark your passion. When I’m not writing, I’d like to say I’m busy speaking and cooking fluent Italian, teaching yoga class and volunteering for the Peace Corps, but none of that would be true. 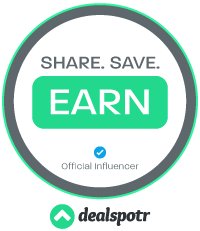 Dee DeTarsio is a television writer living in southern California. (Remember those aptitude tests in sixth grade? She was supposed to be a Farmer’s Wife.) After growing up in Ennui, Ohio, and graduating from Ohio State University she vowed ‘never to be cold again’ (in a tantrum more worthy of Suellen than Scarlett) and ended up in Tucson, Arizona, producing the news for the CBS affiliate (oddly enough called KOLD-TV). 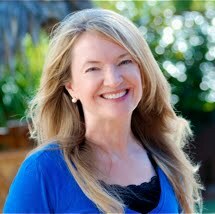 She moved to San Diego where she worked in the SeaWorld entertainment department as a producer/writer (penguins are mean! ), before producing and writing for the NBC affiliate. 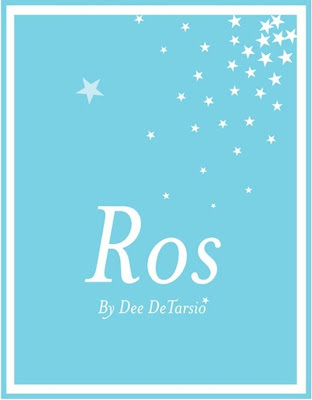 From the girl who ate too many potato chips, Dee is the author of women’s fiction novels, THE SCENT OF JADE, THE KITCHEN SHRINK, ‘TIL SOMEBODY LOVES YOU, and just released, ROS.